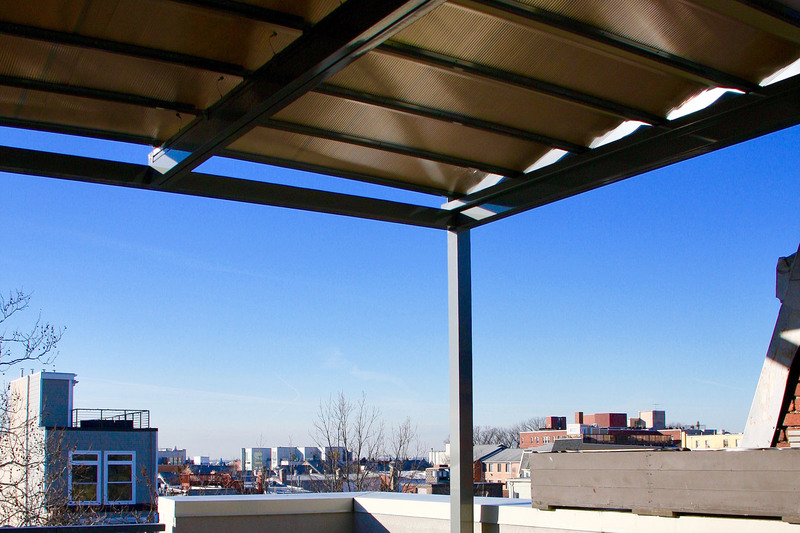 Perched on the top of a modern condominium building, this multi-season rooftop patio grants a front row seat to Washington’s Northwest Quadrant, Columbia Heights. 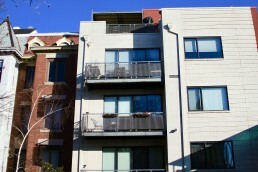 With a mix of contemporary and historic buildings, this up and coming neighborhood has it all – beer gardens, cocktail bars, major retailers, a bustling metro stop, public parks, and a diverse restaurant scene. 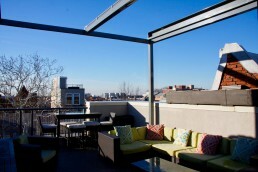 With so much to do and see, the rooftop patio serves as a great vantage point to map out the perfect route. Washington’s temperate maritime climate can be a handful to manage. The winters are typically cold and snowy, while summers are hot and heavy. Rainfall shows no seasonal bias, occurring throughout the year, and when mixed with the summer humidity, it can deliver supercell thunderstorms. After years of researching into custom shade solutions that could hold up to the ever-changing weather conditions of Washington, the Laytons stumbled across ShadeFX’s turnkey structures. 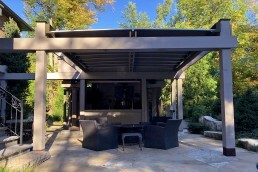 Together with the help of their contractor, John J Falvella, the Layton’s were able to design and build a custom solution fitted for their 4th floor patio. Once an initial site assessment was completed by the ShadeFX service team, John prepped the site for installation. 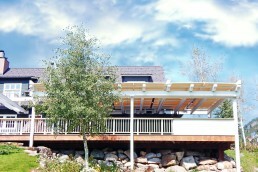 ShadeFX customized and attached a 15’x13’ aluminum structure with a retractable roof and rain gutters. 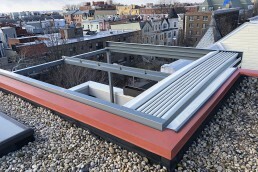 The incorporated rain management allows rainwater to flow freely into the gutters and directly to the outpost. Continuing with the theme of a turnkey solution, the Layton’s also chose a fully-automated product package. The addition of a Somfy Wind Sensor, MyLink and Dry Interface Accessories, meant that there are no uncertainties when the weather begins to turn. These are practical technological solutions for homeowners located in areas prone to unpredictable weather like our customers in the windy city of Chicago and on the breezy island of Nantucket. Now, whether at home enjoying the benefits of their new shade solution, or out on the town trying out one of the many buzzing restaurants, the homeowners have the flexibility to extend or retract their new roof with the help of a mobile phone app. Even more, their new retractable roof will adjust itself at the sign of bad weather. All of our shade solutions are customized and engineered to fit your unique space and location. Get started on your project today. 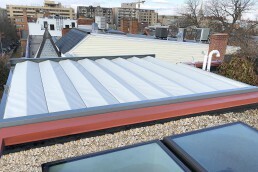 ShadeFX customized an attached 15’x13’ aluminum structure with a retractable roof and rain gutters, to manage water runoff. 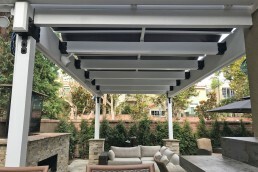 The Layton’s fully-automated their retractable roof by adding a Somfy Wind Sensor, MyLink and Dry Interface Accessories, allowing them to control the shade anywhere, anytime.